Did Hillary Commit a Felony? I do believe this would work with some low information voters. However finding a way to get it to them before it is altered or discredited in some way would be the trick hard to pull off! It's sad really, because this could even get people that are uninformed just because of most news format to pay attention! Good luck! 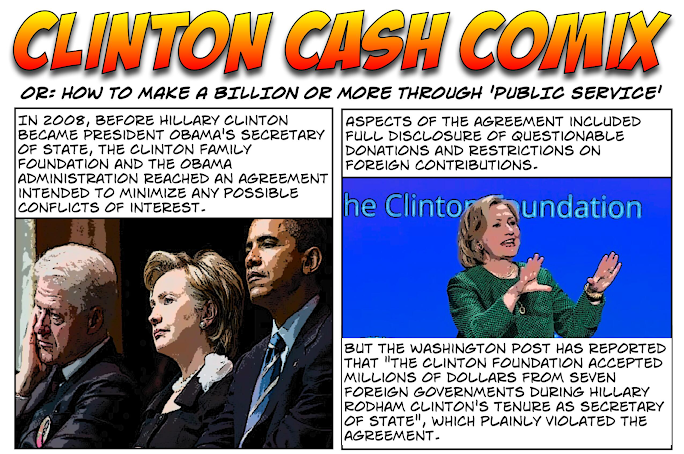 While I like the cartoon and agree the HRC is a criminal, the $145 million seems to be an order of magnitude or so off. You are correct! 145m is off. It is only what we know of. I can guarantee we only have uncovered the top of the iceberg so her bank account is far larger that what is reported and known at this time.